What is a tonsil stone? Tonsil stones are also called tonsilloliths, and are a buildup of hardened or calcified material in the tonsils or crevices around the tonsils. Made up of extremely odorous material, tonsil stones often cause severely bad breath. (1) The tonsillolith comes from bacteria or dead cells that have built up in pits or fissures around enlarged tonsils. What causes tonsil stones? Many factors can contribute to the development of a tonsil stone. Sometimes debris such as food becomes entrapped around the tonsils and begins to accumulate and harden over time with other bacteria. Mucous secretions from the nose may also contribute to this bacterial buildup. Tonsil stones are usually found in adults, and are typically associated with people that have enlarged tonsils. 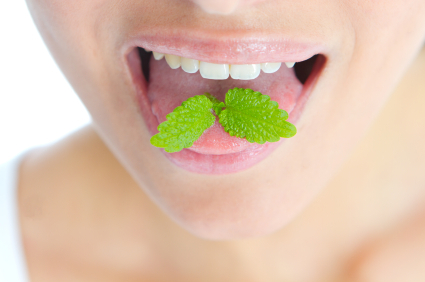 Here’s 7 natural ways to avoid bad breath. Tonsil stones begin as small, softer areas of bacterial accumulation. Over time they can calcify, while also enlarging in size. Most tonsil stones develop in cracks or crevices on top of, behind or around tonsils. As bacteria accumulate, the tonsil stone begins to put off a very foul odor. If the stones become severe enough they may cause pain in the throat, during swallowing, or in the ears. (2) If tonsil stones become severe enough to cause constant discomfort they may require professional removal. 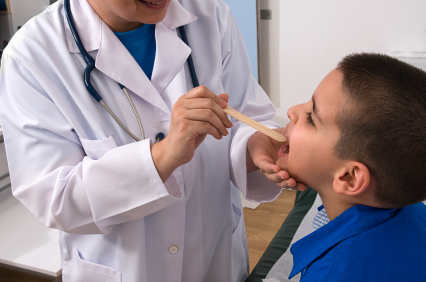 Chronic tonsil stones may require a tonsillectomy. Declining oral health linked to major health issues. The best way to prevent tonsil stones is to practice good oral hygiene and manage nasal-allergy symptoms that might cause mucus accumulation in the back of the throat. Keeping the mouth free of gum disease, plaque buildup and rinsing thoroughly (gargling) can help remove loose debris and prevent buildup that might cause tonsil stones. Maintaining a healthy diet that is low in sugar and processed food and using 100% pure toothpaste and mouthwash daily will help reduce the amount of active bacteria in your mouth. Tonsil stones are usually left alone by professionals unless they are severe. Most health professionals will recommend increased oral hygiene and healthy lifestyle choices to reduce the buildup accumulating in the back of the throat. If the stones are severe enough to cause discomfort and pain, they may require surgical extraction and/or a tonsillectomy. Antibiotics may be prescribed to reduce the bacteria as well as subsequent infections associated with the tonsil stones. Many people are able to remove tonsil stones on their own. A common tonsil stones remedy involves homemade rinses or gently removing them with a smooth-ended device such as a cotton swab. To cure tonsil stones or eliminate tonsil stones, cutting back on the levels of bacteria in the mouth is key. How do you get tonsil stones? Tonsil stones are an accumulation of bacteria and dead skin cells in and around the surfaces of tonsils. 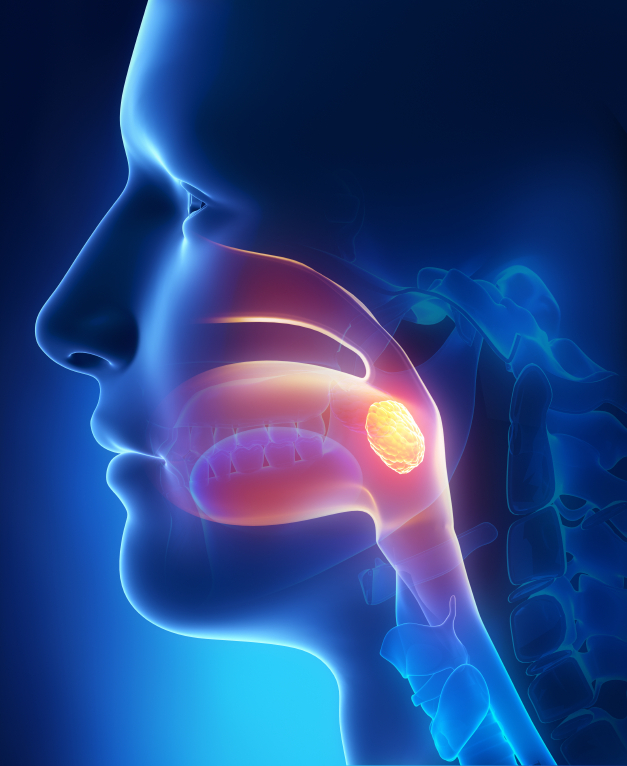 Most tonsils with tonsil stones are swollen and the person experiences some nasal drainage. They may also be due to poor oral hygiene. Tonsil stones can fall off alone. Using proper oral hygiene and home rinses can help the bacteria to dislodge and fall off. If severe enough, tonsil stones may require surgical removal. No, tonsil stones are not contagious. However, the bacteria from tonsil stones may be spread to loved ones through saliva. Yes. Tonsil stones can cause severe halitosis. How to remove tonsil stones yourself. Many tonsil stones fall off alone, but some people also remove them with a toothbrush or cotton tip applicator. Home rinses are a safe way to help loosen and remove tonsil stones. If severe, they may need to be surgically removed as well as accompanied by a tonsillectomy. You should never attempt removing a tonsil stone with any type of metal instrument in your mouth. This is very dangerous and can cause severe damage to the delicate tissues of your throat. Is it okay to leave tonsil stones in my mouth? You should never want to leave calcified or large amounts of bacteria buildup in your body. These bacteria could cause problems or dislodge and travel to other areas of the body. Destroy the bad bacteria that lead to gum problems – click here. Rio AC, Franchi-Teixeira AR, Nicola EM. ; Relationship Between The Presence Of Tonsilloliths And Halitosis In Patients With Chronic Caseous Tonsillitis. ; Br Dent J. 2008 Jan 26;204(2):E4. Epub 2007 Nov 23. Babu TA, Joseph NM. ; Persistent Earache Due To Tonsillolith. ; Indian Pediatr. 2012 Feb;49(2):144-5.